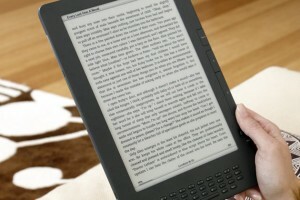 Amazon is coming back with a better Kindle DX and is sending a clear message that it is not out from the tablet market! Amazon has come up with a brand new Kindle DX with many new features including a new case and a new price. The kindle DX costs only $379, an attractive drop from $110 from its previous $489. It also comes with a graphite color. The Kindle DX sports and easier-to-read display on its standard screen size of 9.7 inches. The contrast has been improved and is 50 percent better to support text and images. One of the Kindle’s main selling features is its display which is easy on the eyes and is customized for e-books. Amazon highlighted Kindle DX’s display saying that it is similar to reading a real news paper and emits no glare unlike the computer or the LCD screens. The new DX doesn’t ship until July 7 and Amazon will take pre-orders on the Kindle DX. Amazon has made it clear that it is not backing out of the tablet market and is moving fast to compete with Apple, Barnes & Noble and Borders. You can pre-order a Kindle Dx here.